Gorgeous fall days are few and far between here in New York. When the weather is as beautiful as it was today, you need to take full advantage. The older girls were in school and I was home with the younger ones. I decided to buckle them into the car and head out on an adventure. About thirty minutes north of us is the cute little town of Ballston Spa where we stopped and dined al fresco (totally unheard of for NY in October!) at the Iron Roost before finding the most adorable pumpkin stand along the side of the road. 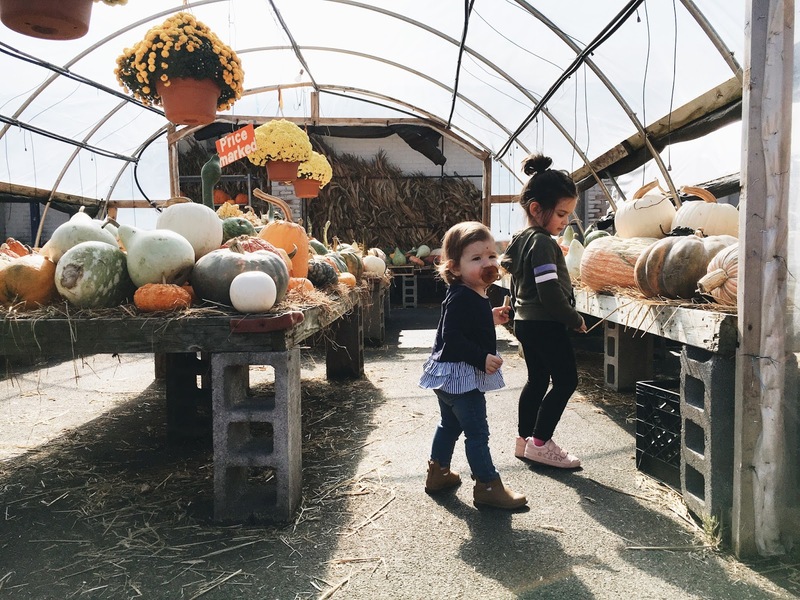 This place was truly what pumpkin dreams are made of. 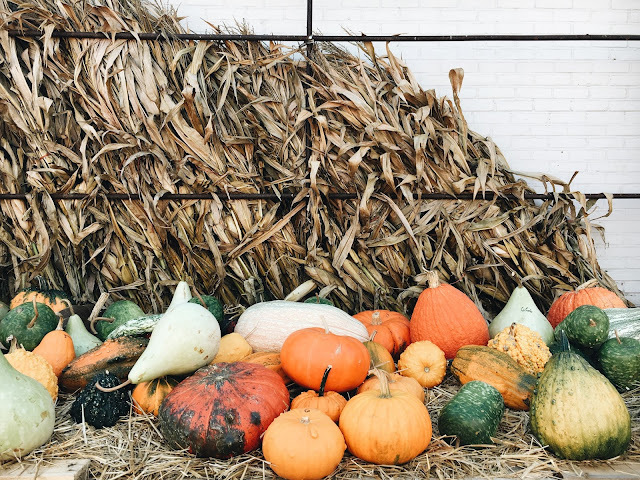 The girls and I walked around admiring the beautiful assortment of pumpkins and gourds before hopping back in the car to get home in time for the bus. The whole drive home Lidia kept talking about her best day ever and it made my mama heart feel so good..
To them, it really is about the simple things like time spent together.